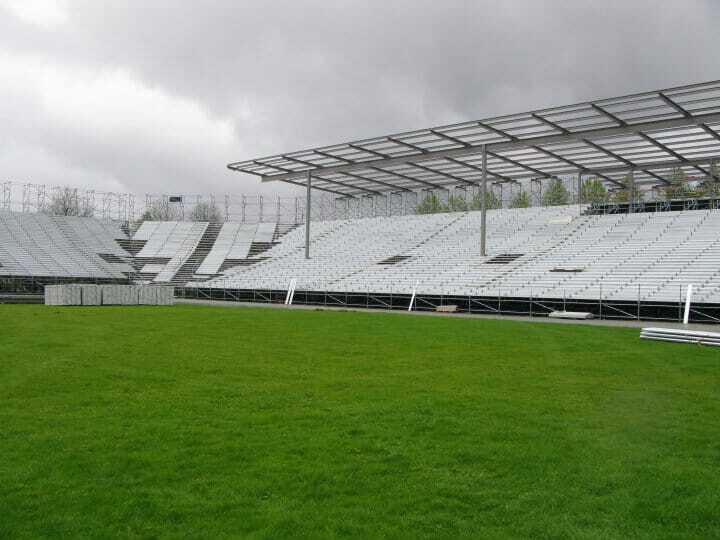 It sounds like the roof on BC Place will be deflated either this week or the next according to an article by Lowell Ullrich of the Vancouver Province on April 25th. For the past several weeks, six account reps have been contacting season-ticket holders about moving a seat indoors to a corresponding chair outside. So far so good, according to the club. The biggest problem came when the Lions had to juggle the guest list after discovering the contractor, Nussli Special Events Ltd., could only build a replay scoreboard on the north side of the new facility. A Nussli spokesman did not respond to an interview request. Only a handful of season-seat holders rejected the great outdoors and will wait for the club to return downtown sometime next year. Roof renovations at B.C. Place Stadium are set to begin in earnest next week with the controlled deflation of the existing cover which prompted the reported $468 million makeover. The article also discusses the difficulties and logistics of relocating season ticket holders to the new, temporary home of the Lions. I don’t know about you Lions fans, but I’m getting pretty excited about this season! 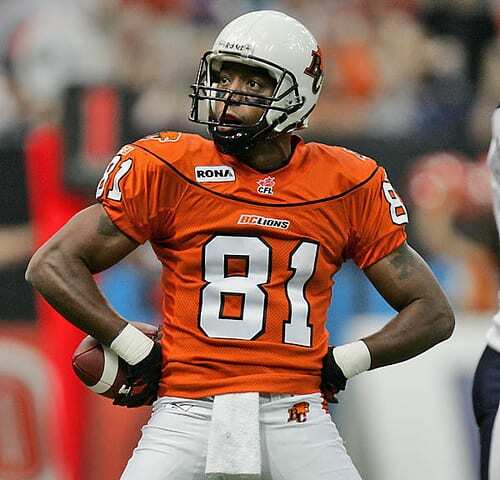 We hinted a couple of weeks ago that the BC Lions were working on an extension for star receiver Geroy Simon after beat writer Lowell Ullrich had reported the deal was imminent. Well it appears as though that deal has been completed and the all-time club reception leader will take another step closer to retiring a Lion. Terms of the deal have not been released and no official announcement has come from the Lions. It’s a great move for the club, as Simon is still a high quality receiver and is one of the most recognized faces of the franchise. Simon, who has made Vancouver his home, has also become a prominent fixture in the community, giving much of his time to represent the team at various charitable functions, or appearing at schools to give back to the youth of the province. Congratulations to Geroy, and here’s to Lions fans witnessing many more superman poses! Follow Superman on Twitter: @geroysimon and check out his website: http://www.geroysimon.com.